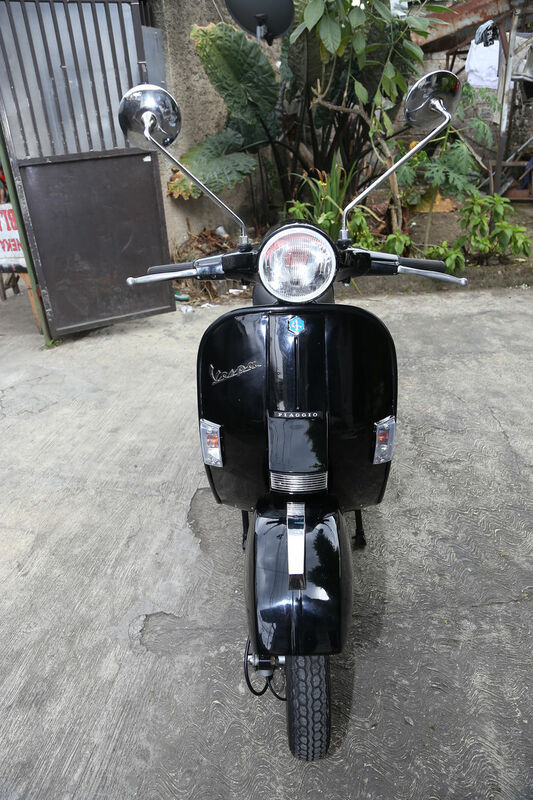 I hav recently imported 2x 1980s vespas a 1985 px150e and a 1981 p150s. I got them all signed off by the mechanic locally and looked good to go. Both bikes when riding home, had the rear wheel completely seize and I came to a large skidding stop. They both started again and seemed fine and I am now trying to get to the bottom of why this happened. The fact it happened to both bikes makes me think maybe its a fuel/oil mix issue as thats the only thing that was done by the mechanic to both bikes and seems like one hell of a coincidence otherwise. The bikes aren't idling particularly smoothly and checking the the spark plugs they look quite oily. The bikes both ride fine now but I am hesitant to to go too far incase it happens again. What do you know of the history of these scooters? How many k's have they done since you bought them, and how many k's are on the speedos? Did they both do it at the same time? How fast were you going at the time? What was the thing that was done to both of them by the mechanic? Are they autolube or premix? ALWAYS cover your clutch lever (with 1 or 2 fingers)... If it seizes, pull the clutch in... When the scoot slows down (to running pace or less), SLOWLY let the lever out & see IF you are lucky enough that the motor turns (ie un-seizes). Seized up for no apparent reason, oily plug, as with anything weird, could be a worn clutch side oil seal. If the gear oil is low level or like black petrol it's not a good sign. Whence were both scooters imported? Both?! That's terrible, you're lucky you're ok.
That's a bad day, I would go for surf at the pass or check the banks at broken head... then beers at the Northern? I guess this was to check chassis number etc... NOT to get them tuned? If so... did you go to a specialist Vespa mechanic for a tuneup? I think the soft seize sounds likely, I've driven them around 'slowly' and seem OK but justing wanting use a bit of petrol so I can top up with more oil in the mix. I will also check the gear box oil and seals. I will report back if I'm still alive. The bikes got shipped with no fuel so the mechanic put the fuel/oil in. But yes right i that the mechanic didn't do much else but check everything was superficially OK. 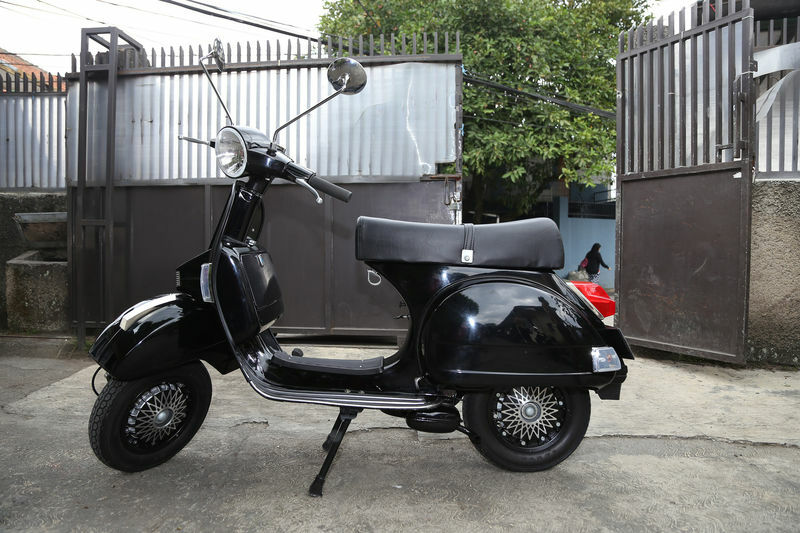 I imported the Vespas from Bandung, Java. I went over there for three weeks and stayed with a friend that lives there half the year. I looked at dozens of bikes and went to maybe 10 different mechanics until finding one that looked half decent. 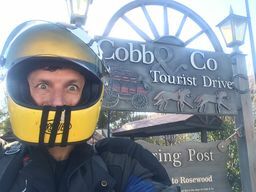 Got the bikes tip top and rode the around there and were working perfectly. They would of sat around for a few months not being ridden if that is a factor. I haven't had them professionally tuned locally, it's little bit of a mission as the only vespa scooter mechanic I'm aware of is about 100km away. 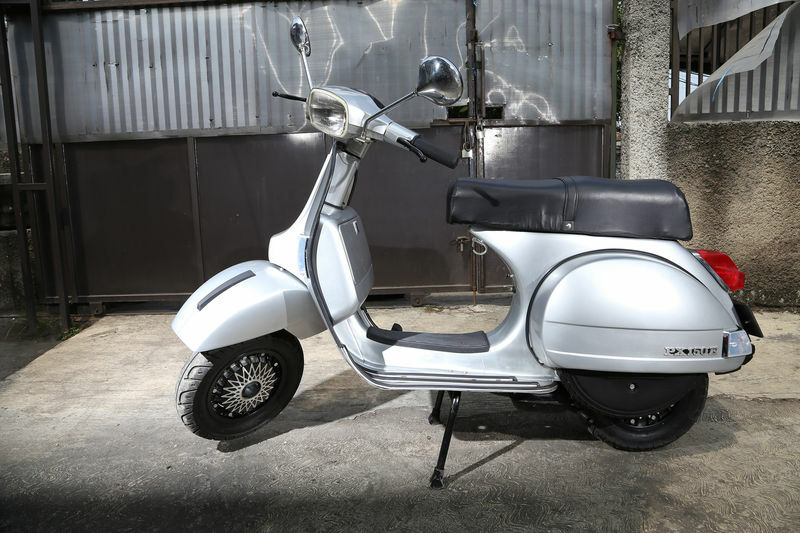 I realised the other day that Vespa re-realised the exact model in 2012. So I could of bought one 5 years old for the same price that it cost to bring in a 35 year old one! They look really nice. I especially like the Exclusive II (Ebeth is that right?) headset. So you rode these for a while in Java? There are P's and PX's for sale all the time in Australia. They are extremely popular. I guess perhaps you simply didn't look very hard. Piaggio stopped making PX 200's in 2007-ish, and made PX 150's for a few more years and stopped. Then started up again as you say. They seem to have stopped again (for good this time I think) earlier this year. 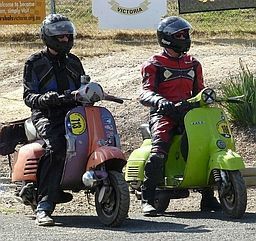 You'll see a heap of them next September when the National Scooter Rally is held in Byron Bay. Did you (or your mechanic) mix oil into the fuel before you rode them? That could certainly explain what happened. If it was a seize then you can probably clean up the pistons & cylinders and carry on. This involves removing the top end, feering the rings, removing any smeared aluminum from the cylinder walls and checking for irretreivable damage. Thank you, Indo brains trust! Have a great day mate! Exclusive headset, I like it! Oil was definitely put in, I will know today once I go for a decent ride if the problem still exists. 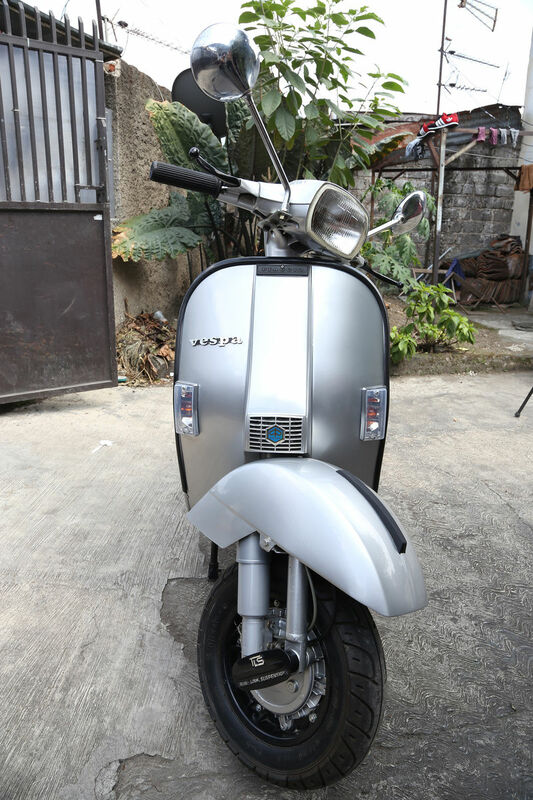 Hey Ginch, where is the best place to sell/buy scooter? I looked on gumtree, eBay and scootersales and couldn't find any. It wold be very helpful to know what similar models sell for etc. What do you think you'll be asking... or what does it owe you? Thanks for those links Ginch, really appreciated. I needed to be little more specific in that I haven't managed to find a PX150 from the 80s... I saw one there with a side cart that looked pretty good. Those links though give me a much better idea of whats floating around. I was hoping to get $5500 for the silver one, not entirely sure if thats unreasonable or not. I spent just over $5000 on it, the customs stung me a bit coming in but I learnt a lot and could do it a fair bit cheaper if I did it again. I then took the black one out for about 15 minutes and all good there too. So I'm thinking that there was possibly old fuel in the line, the mechanic got the oil/fuel mix wrong or I was to aggressive i firkin them after them not being ridden for a while... alls well thats ends well! Hope that's the end of it then. I don't think that an early one demands that much of a premium right now, being Indo throws some uncertainty into the mix as they have historically been seen as pretty dodgy. For $5500 I could expect to have the choice of a few very good to excellent P/PX200s, and they very definitely command a premium over the 150's. Everyone wants a 200. Just remember that they are from JAVA, So basically most will consider them as a "Bodge", therefore your market in AUS is limited. $5500... not much chance, specially for a "standard" (unless there are some cool expensive mods you have not mentioned)... plus, as Ginchi said, they are only 150 motors, so price is WAY LESS than a 200 motor. My guess for price in AUS is about $2200-$3600 incl rego & roady (in SUA, about 1/2 that). Do you have any pics or info from BEFORE they were restored/bodged? Hey guys, thanks for the info it does help me get a feel for it. Best case bring in a full container load would be landing them between $3000 and $3500 and if thats what they are worth makes it unviable. I would imagine that even bringing in a PX200 would not make sense as coming from indo, like you said, would reduce the price people would pay and they certainly aren't pristine. I checked the frames when I was over there as it one of the main criteria I was addressing looking at bikes, I have a couple of photos but nothing that would show the chassis integrity unfortunately. The uninformed market it is! I looked into this myself... Here are the results... Ie best not! Would YOU buy a bodge off ME?